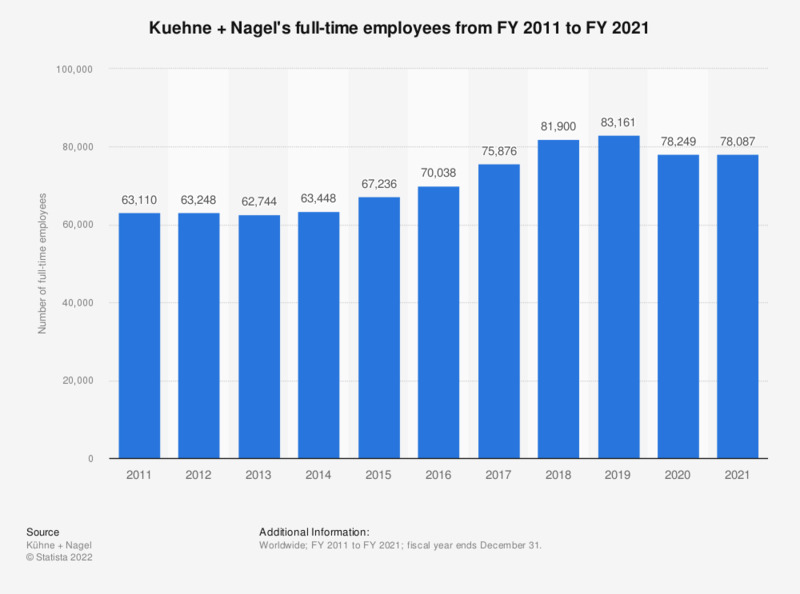 This statistic represents the number of Kuehne + Nagel's full-time employees between the fiscal year of 2011 and the fiscal year of 2018. In the fiscal year of 2018, the logistics company had 81,900 full-time employees. The figures through 2012 were taken from previous annual reports. Everything On "Kuehne + Nagel" in One Document: Edited and Divided into Handy Chapters. Including Detailed References.